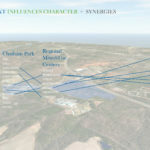 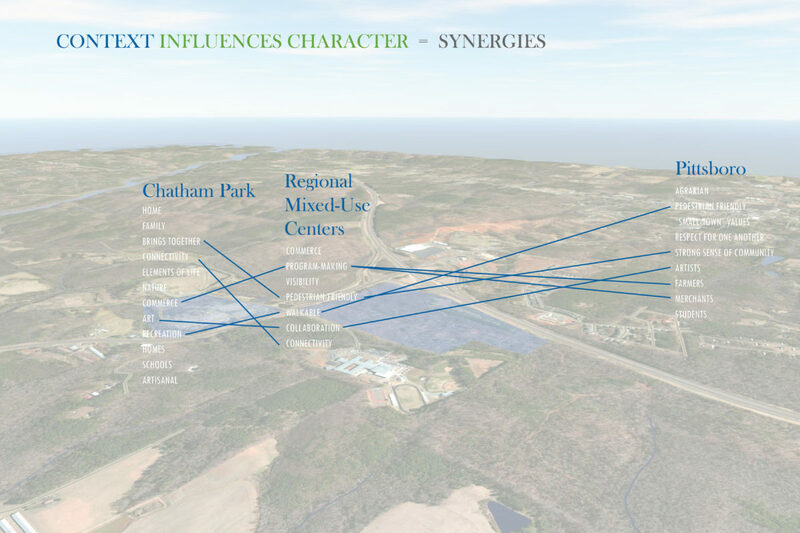 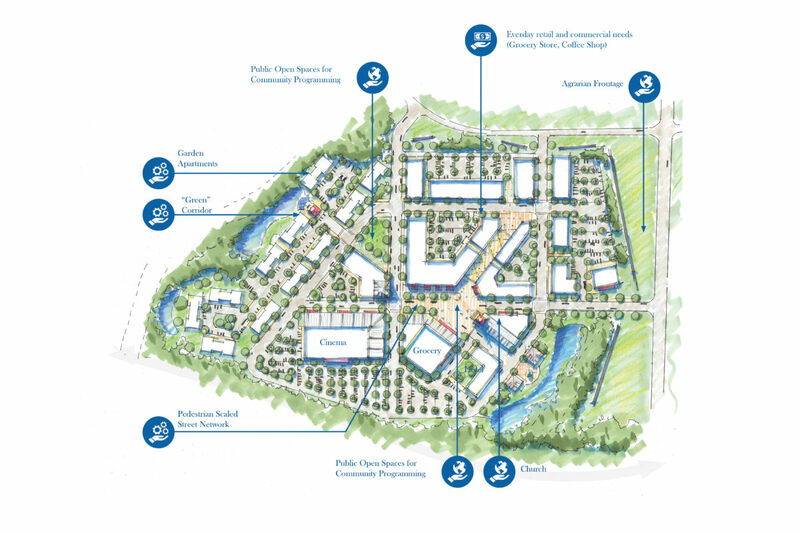 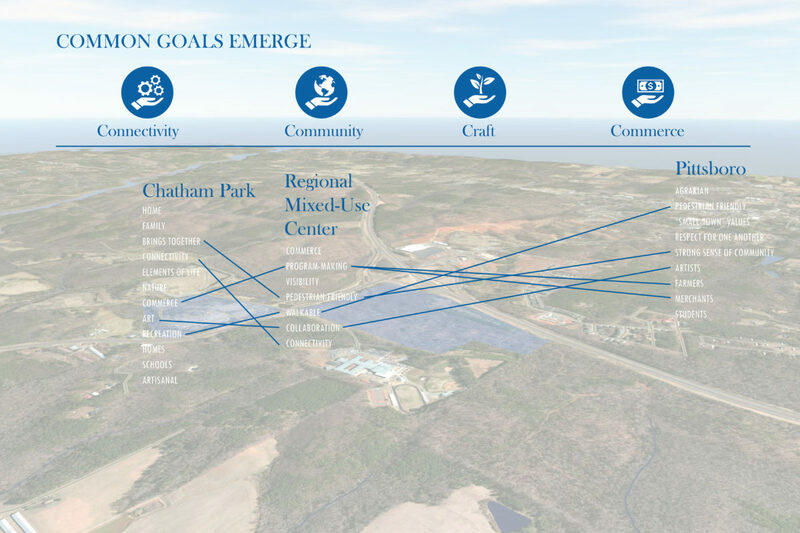 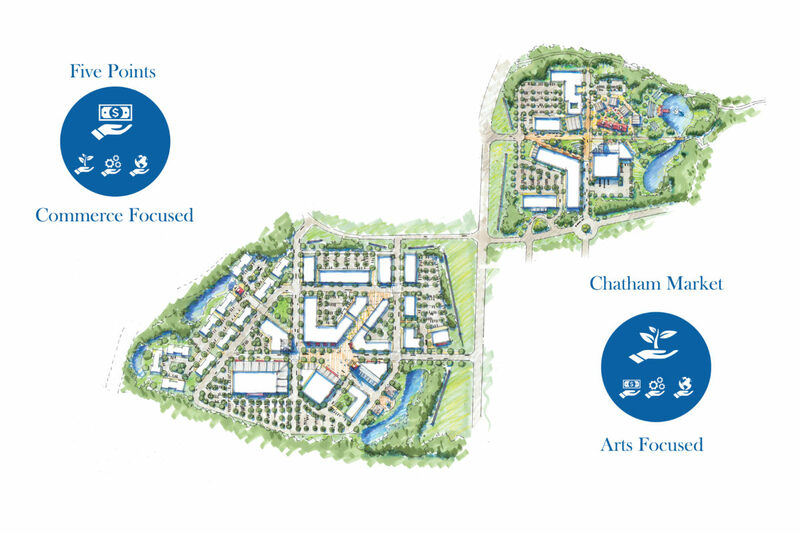 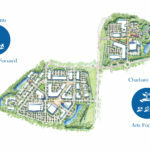 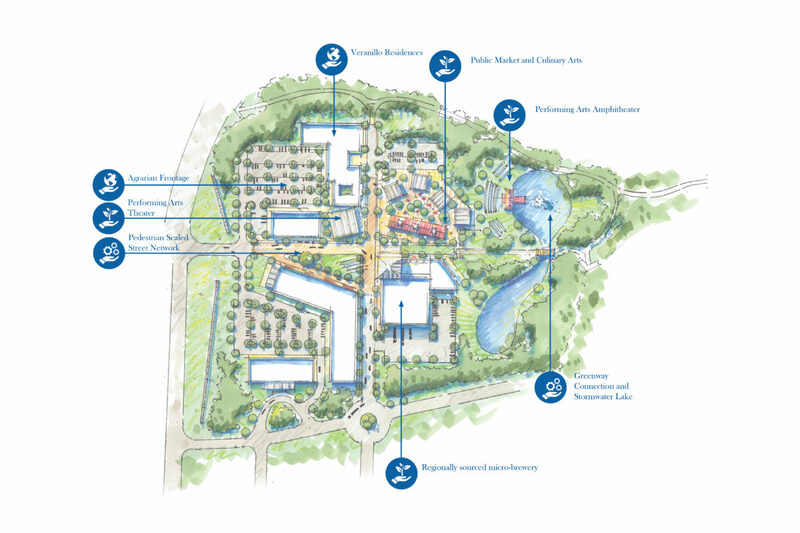 Stewart was invited by the developer to create a master plan for two mixed-use centers in Chatham Park in Pittsboro, NC. 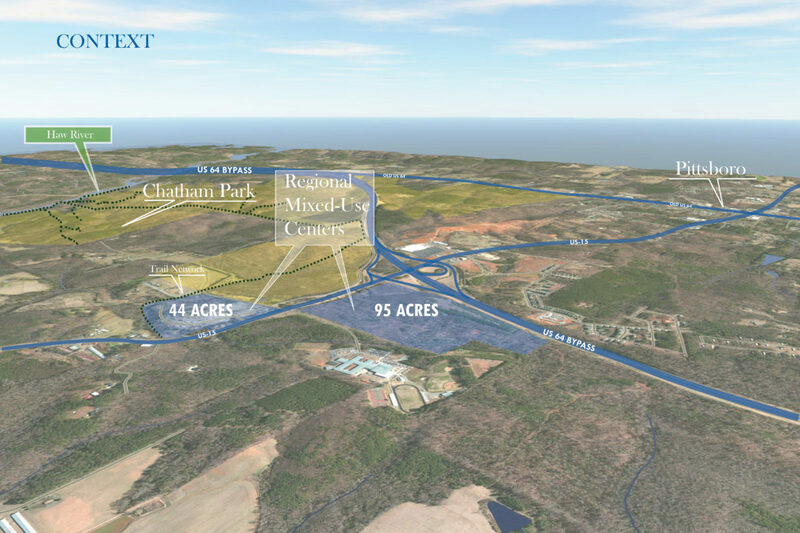 The 44 acre parcel and 95 acre parcels are located caddy-corner at the intersection of US Hwy 64 Bypass and US Hwy 15. 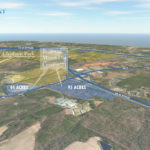 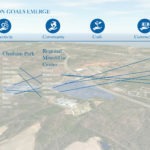 The development will be the first major retail center as part of the 7000 acre planned development along the Haw River and Jordan Lake recreation area. 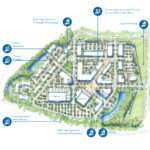 The challenge posed by the developer was to create two unique villages that were perceived as one unified development. 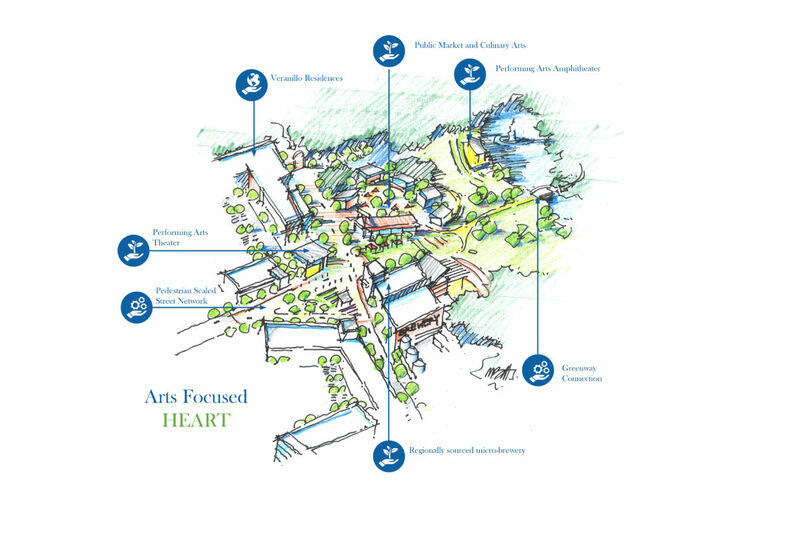 The Stewart team developed a concept focused around Pittsboro’s small town values and strong sense of community. 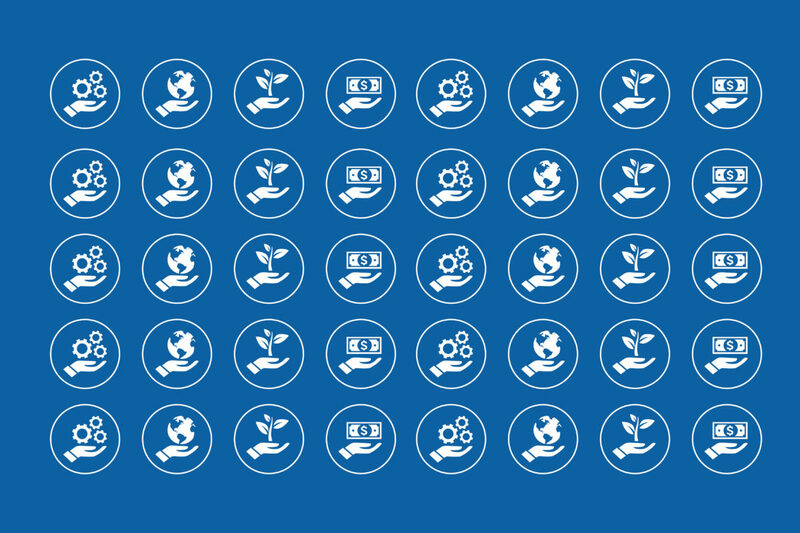 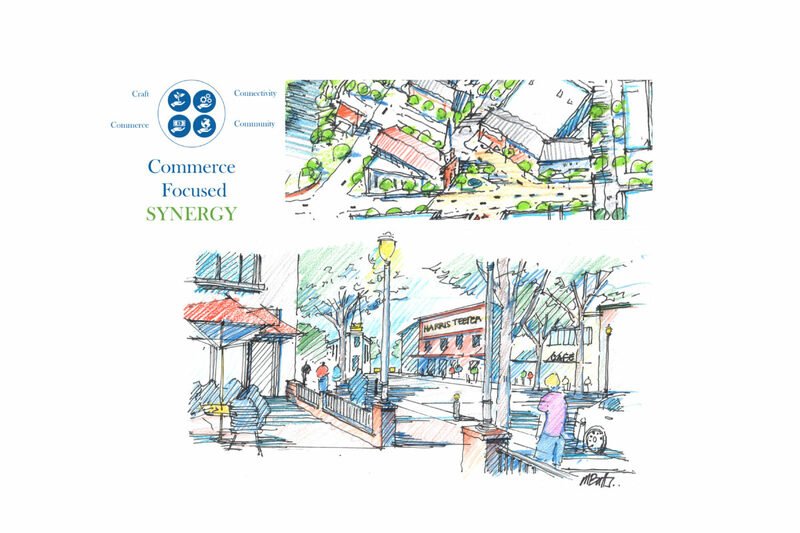 Two distinct centers were designed with Connectivity, Community, Craft and Commerce at their core. 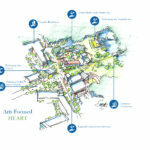 Each was made uniquely vibrant by focusing one on Arts with a Farmer’s Market, Brewery and Performing Arts Center and the other on Commerce with a Grocery, Shops and Cinema. 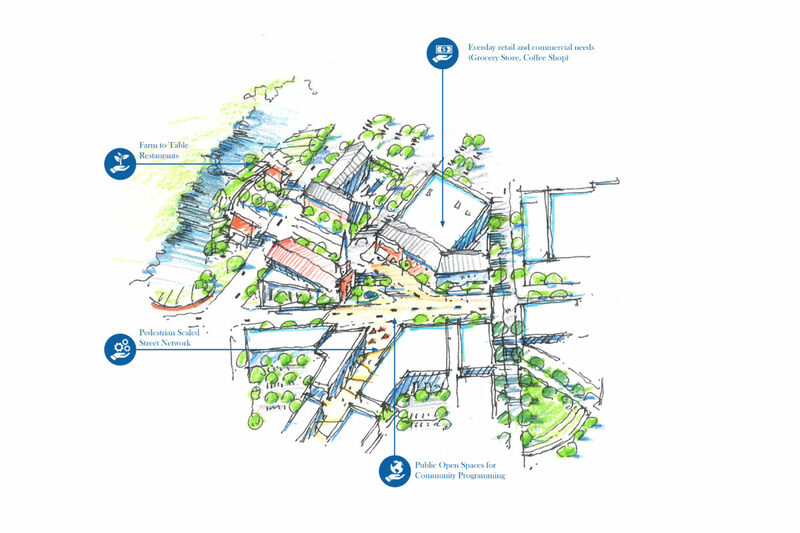 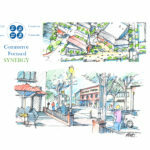 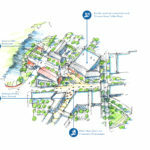 Throughout both centers pedestrian scales streets, gathering areas and regional connections enhance the community experience.